This bloodtrail is 100% real. 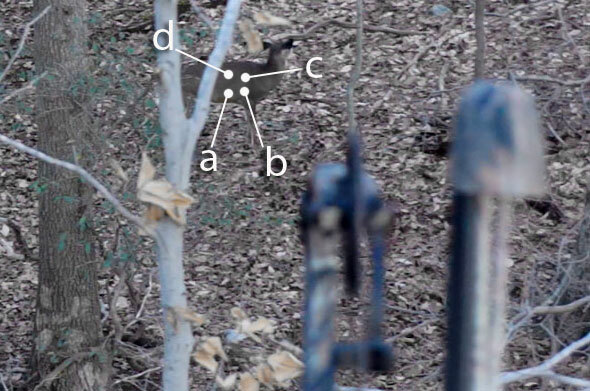 All the pictures and steps are as it happened during a Connecticut deer hunt in December, 2012. Good Luck! Color Blind Edition - In our first ever "color blind" edition you will be presented with photos that simulate the difficulty Red/Green color blind hunters face. 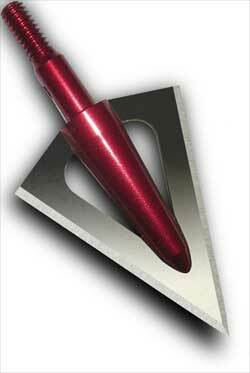 All other aspects of this competition will be textbook with no tricks, traps, or word play. Good luck! While bowhunting the last two weeks of the 2012 bow season this tender yet meaty spike buck comes in range. Take a look at the photo above and answer the question below. 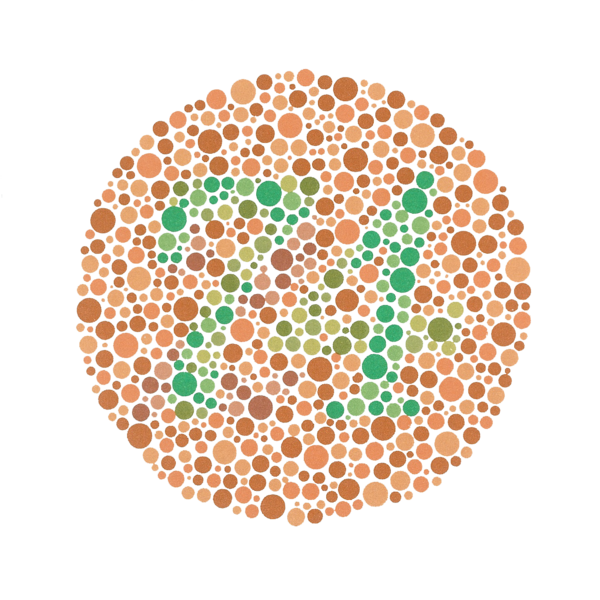 About Red/Green Color Blindness - persons afflicted with the most common form of color blindness see desaturated reds and greens - typically as greys. Hunters who are red/green colorblind must rely on visual clues other than color to differentiate blood. These hunters have a much harder time trailing than those with normal color vision. 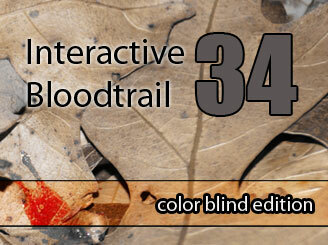 We are able to simulate these conditions through imaging software to bring you this unique blood trail competition.